JAPAN: Chinese TV market causes Panasonic to boost plasma production, Sharp cut back on large-screen LCDs | What Hi-Fi? Panasonic is set to boost output of plasma panels for the Chinese market, while Sharp is slowing down its flagship large-screen LCD production for a couple of months, citing growing stockpiles in both China and the USA. Panasonic has announced it's set to increase its production of 42in plasma panels by almost 500% over the next couple of years, from the current 25,000 units a month to 120,000. 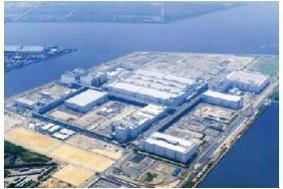 It will also be moving some production from its plant in Amagasaki, Japan, to Shanghai, to enable it to better serve the Chinese market, and also as a defence against the very high value of the Japanese yen. At the same time, Sharp has decided to cut output of large-screen LCD panels for the next couple of months, due to growing stocks of such sets in China and the States. Its latest factory, in Sakai, Japan, which has been running at full capacity for the past month or so and has a capacity of 1.3m 40in TVs a month, will be slowed down by 20-30% for a month or two, the company said. The move is expected to affect its supply of panels to other companies, such as Sony, Japanese analysts say, but Sharp's Kameyama plant, which makes smaller screen sizes mainly for its own TVs, will continue to run at full speed.